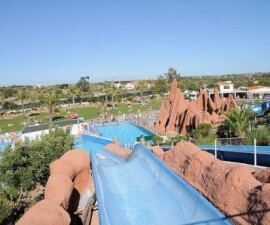 The Algarve region has undoubtedly a lot to offer. From the breathtaking cliffs to wide-ranging golden sands, from natural bays to beautiful islands spreading across the ocean, it is truly a sight for the eyes and the mind as well. If you are travelling to Tavira and are willing to explore the lovely surroundings and outskirts of this fishing town set along a peaceful river, let us do the honours of suggesting a one-day tour you will easily remember as long as you live. There are a number of options for those wanting to explore other cities or other fishing villages. This time, we are taking you across the coastline of the Algarve’s eastern region, along with the Ria Formosa beautiful landscape, towards of the main cities in the entire Algarve: Olhão and Faro. 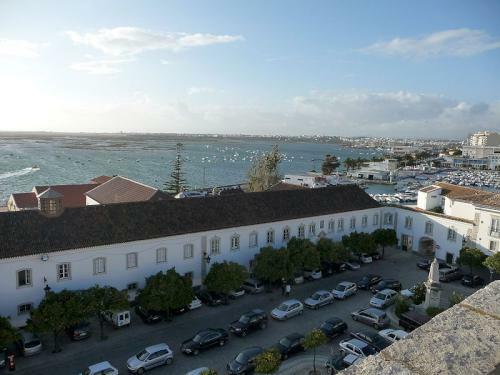 Tradition and fishing history are also a grand part of these two cities, as much as in Tavira, although they are much more advanced and industrialised, and certainly a lot more tourist-driven. One of the most well-known sightseeing tours around the eastern area of the Algarve region is the Tour of the Serra. This tour will take you along a route with the Serra do Caldeirão as background, with its beautiful landscape of olive and almond trees, fig trees, and carob trees. Sometimes undulating, other times with deep valleys, the Serra do Caldeirão is truly a marvellous site. Continue along the paths leading you into the surrounding villages, with their white-washed little houses and matching blue stripes contouring the entrances, their bright colours, trees, and flowers everywhere. This is the Algarve in its best, with nature on one side and tradition on the other. You will probably enjoy the peacefulness in Tavira a great deal after you discover Olhão and Faro, so this can actually add up to your vacations in the this lovely small town. 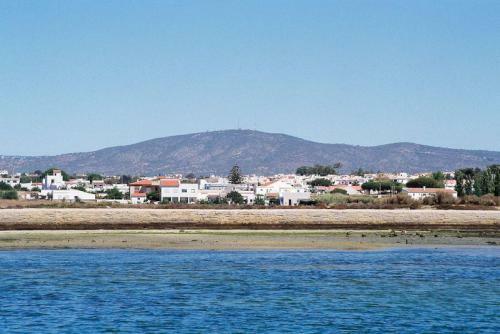 From Tavira to Olhão, it will take you about 30 minutes by car if you drive through the A22 motorway. 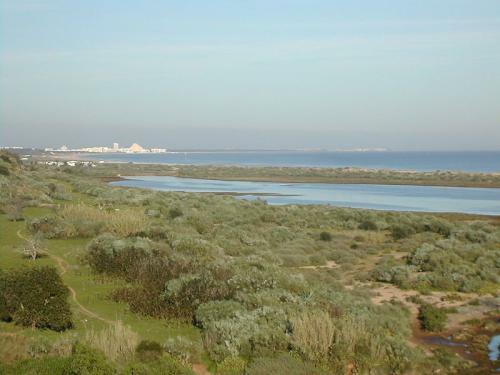 However, we suggest you take a little bit more time to take a look at the beautiful waterscape along the coast stretching across the Ria Formosa Natural Reserve. Olhão is a wonderful city to visit, with a number of local shops, gardens, and terraces where you can just sit back and relax. 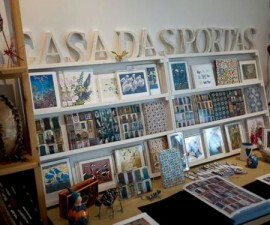 On the other hand, this is the perfect opportunity to get to know the former fishing town and its historical sights. 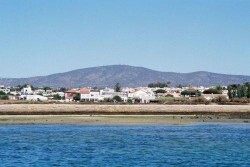 If you have the time, head down to the beach area and catch a ferry to the Culatra Island and Armona Island. Much like the beaches in Tavira, these islands protect the marshy lagoon of Ria Formosa Natural Reserve, therefore preserving the existing birds and marine wildlife. Spend a little time strolling around the city and you will certainly love its picturesque and pleasant waterfront areas. Getting to Faro will be quicker than you would expect by car, about 15 minutes through the N125. On your way, you will cross over the Ribeira de Bela-Mandil and you will know you are on the right track. Once in Faro, start by exploring the old town, ‘Cidade Velha’, in the eastern area of the city, wander around the gardens, see the lovely tradition tiles scattered everywhere in town, and climb up the tower of the cathedral and get the most wonderful view of Faro you will ever come across in your life. 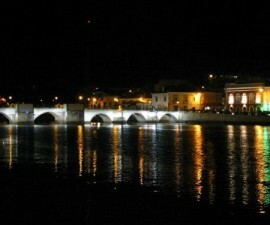 After a walk around town, it is time to return to Tavira so you will not travel during the night, though this drive will only take you about 40 minutes. Enjoy the sunset in any of Tavira’s terraces right in the heart of town and breathe in the atmosphere.